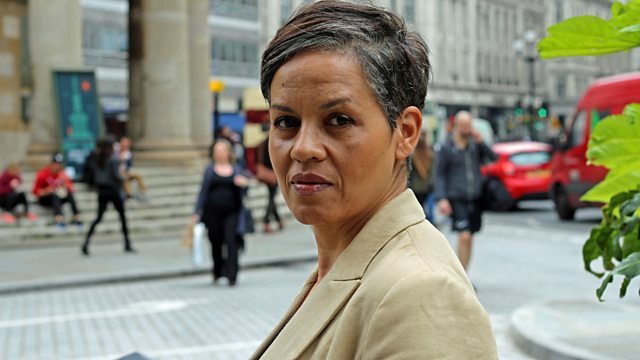 BBC Radio 4 - Open Book, Kit de Waal, Researching novels, Counter-factual fiction. Kit de Waal, Researching novels, Counter-factual fiction. Mariella Frostrup talks to Kit de Waal about her novel My Name Is Leon. Kit de Waal's new novel My Name Is Leon is a heartbreaking tale of two loving brothers who are separated by well meaning social workers, and the impact of this separation on their futures lives. She talks to Mariella about why she has become an author relatively late in life and why this is the book she needed to write. Also, the website which tracks readers' behaviour to identify potential bestsellers, three novelists reveal the lengths they go to to get the details right: from civil war enacting, to poetry translation to moving to a foreign city and, in our reading clinic, we offer a guide to counter factual fiction.